After an impressive finish to the season Travis Colyer and Zach Merrett are expected to form an impressive small forward combination over the next few years. 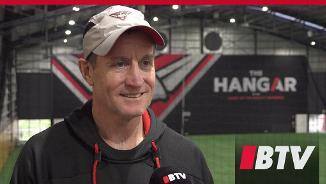 A fast start will be critical if Essendon is to silence a rocking Adelaide Oval in its clash with Port Adelaide on Saturday night, small forward Travis Colyer says. 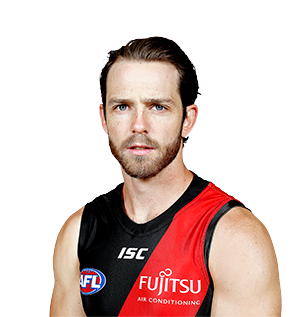 Essendon live wire Travis Colyer’s recent patch of good form can be put down to improved decision-making and contested ball. Colyer’s greatest asset is his blistering speed, with the small midfielder able to break through the lines and make scoring opportunities out of nothing. 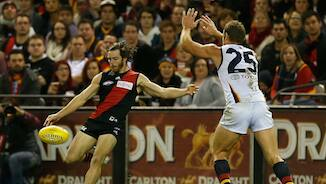 The West Australian had his most fruitful season to date last year, playing 22 of a possible 23 matches. Colyer had 24 disposals, three goals and two goal assists against the Crows round four, highlighting his ability to find the ball and damage the opposition in the forward line. Colyer could be in line to play his 100th match this season, which would be a fitting reward for his commitment to the club since his debut in 2010.